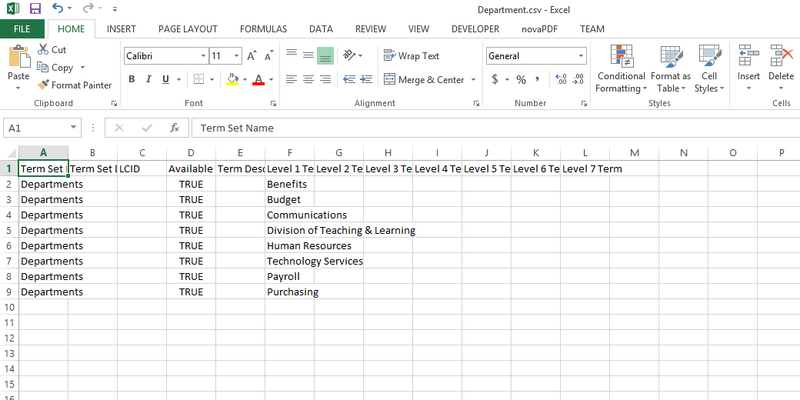 How to import Term sets using .CSV file with URL field. In this example you can see a sample .csv file i imported a few weeks ago. The bold things are the header in your .csv and below you see the first row of the Metadata to import. Not the answer you're looking for? Browse other questions tagged sharepoint-server term-set or ask your own question.